Windows 7 was made generally available (GA) on October 22, 2009. The version that went public in October 2009 was available in late July 2009 to ISV’s and Enterprises with MSDN subscriptions. So there was a good bit of time before Windows 7 went public to be ready. Microsoft is providing a resources to help you show your applications are ready for Windows 7. Readiness for Windows 7 includes first being compatible and then taking advantage of some of the features in Windows 7. Some of the features are easy to implement too. For example, you can support the Libraries feature by calling the standard dialog box. You can get more details on how you to get your apps compatible and incorporate Windows 7 features in a series of videos on MSDEV. You can view the videos in the series main page, A Developer’s First Look at Windows 7. The first order of business is to be sure your applications are compatible. Generally the compatibility of your existing applications with Windows 7 and Windows Server 2008 R2 is high. Yet some compatibility breaks are inevitable due to innovations, security tightening, and increased reliability. Whether or not you participate in the software logo program, you can test your applications using the Compatible with Windows 7 software logo toolkit. The test provides a good level of testing and provides steps and resources to resolve any issues that it might find. You can declare your intent to support Windows 7 or Windows Server 2008 R2 at Compatibility Center Submission Form. You can submit your applications one at a time or uploads lists. The Center is open to all ISVs regardless of size or locale. Also add Windows 7 to the list of operating systems that your application supports on your Web site and product marketing materials. That said, Microsoft has several programs to get you up and running with Windows 7. For companies inside and outside the US, you can find the details and steps you can take to insure compatibility and can register your application on ISV App Compat. Tech support is offered worldwide at an MSDN Forum Application Compatibility for Windows Development. Details of the steps to insure your applications are compatible. Tech support for your app compat issues. Marketing benefits include use of the Front Runner logo, marketing materials, and funds that can be applied to your marketing efforts supporting your Windows 7 adoption. Listings in Front Runner are fed to the Compatibility Catalog and Pinpoint. In both ISV App Compat and Front Runner you state that your application does or will work on Windows 7 or Windows Server 2008 R2 by a specific date. For a video on Windows 7 Compatibility, see Windows 7 Compatibility on MSDEV. For details on application compatibility issues, see Windows 7 and Windows Server 2008 R2 Application Quality Cookbook. For a video on moving your application from Windows XP to Windows 7 including understanding how to work with User Access Control (UAC), see Developing Compatible Applications for Windows 7. You can optionally take compatibility to the next step and earn the Compatible with Windows 7 software logo. You’ll test your applications using the Compatible with Windows 7 software logo toolkit. Chances are that if your application runs under Windows Vista, it will work with Windows 7. The test will give you a list of items to check and provide information on what you should to insure compatibility. ISVs set up a virtual machine with Windows 7 and the toolkit installed, and the do your own self testing. The test consists of running the tool from the command line while you install, run, and uninstall your application. After you pass the test you submit an XML file to Winqual that is created by the logo toolkit, then register your application, sign a couple forms. You can use the Compatible with Windows 7 software logo right away. For a video on how the process worked for one ISV, see How Attachmate Earned Windows 7 Software Logo. You can opt in to receive email notices about the software logo toolkit. By passing the Compatible with Windows 7 software logo, you earn 30 partner points that can be applied toward the Microsoft Partner Network ISV Competency and can be listed in the Compatibility Catalog. Some applications may have business reasons for not meeting every compliance test. You can get a waiver for certain issues. To learn more about waivers, see Guidelines for Waivers in Compatible with Windows 7 Software Logo. To learn more about how the Compatible with Windows 7 software logo test works, see Compatible with Windows 7 software logo. Internet Explorer 8 is the browser that ships on Windows 7 in most locales. For a video on Internet Explorer 8 compatibility, see Internet Explorer 8 Compatibility. Light up your application with Web Slices, Accelerators, Search Suggestions. For information on how to get started with any or all of these features, see New Features To Slice, Store, And Accelerate Your Web Applications. If you require IE8 as part of your application for locales where IE8 might not be part of Windows 7, you should see Windows 7 E Best Practices for ISVs. If you need to support the Windows 7 E edition that does not include internet Explorer 8, see Windows 7 E Best Practices for ISVs. Hope this helps in your efforts to get compatible with Windows 7. This is the first in a multi-part series. The next posts will cover how to Light-Up Windows 7 features. 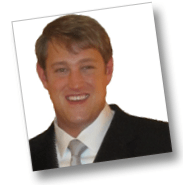 Thanks to Jason De Lorme, ISV Architect Evangelist in Boston Area, for all the great content.